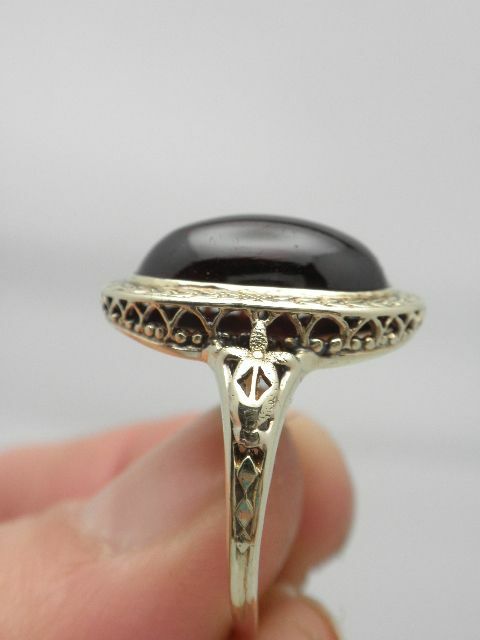 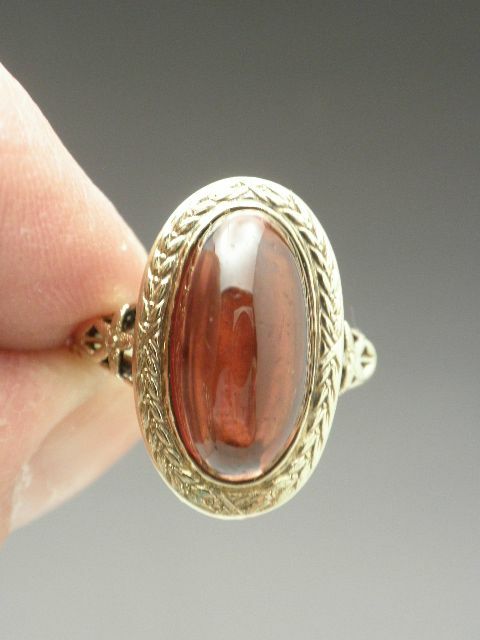 English antique oval cabochon genuine garnet ring. 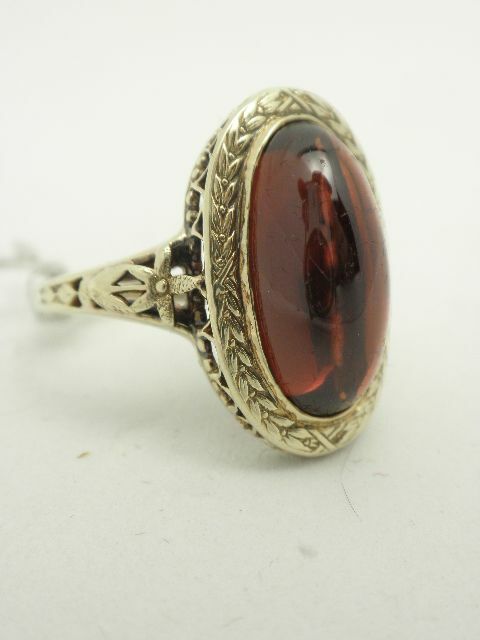 The garnet measures 20mm long by 14mm wide and weighs 5.1 grams 15K gold. 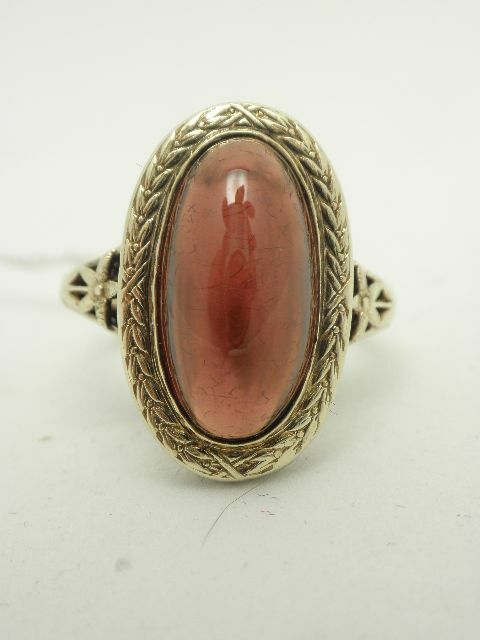 The ring is signed the hallmark which I cannot discern. 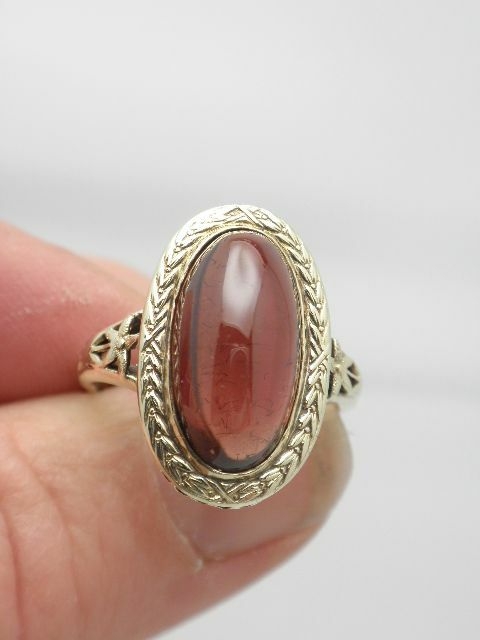 The ring is a finger size of 8.